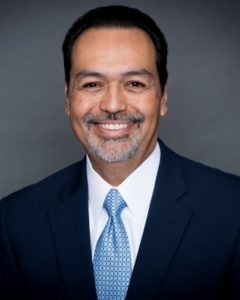 In November 2018, the citizens of Harris County elected Raul Rodriguez to serve as the next Judge of Harris County Criminal Court at Law No. 13. Before his election, Raul had a private practice in Houston, Texas since 1992. He was practicing criminal defense law on a continuous basis for over 26 years. He had been doing court appointments as well as representing clients through his own practice, handling felony as well as misdemeanor cases at both the State District Court and the County Criminal Courts at Law levels. In addition to criminal defense, he also represented clients in family law and personal injury law cases. 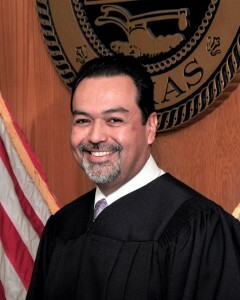 Raul was also a mediator, and he was often referred cases by the Family District Courts and Civil District Courts to assist in resolving disputes between litigants. In November 2005, he had the honor and privilege of being appointed by Mayor Bill White as an Associate Judge for the City of Houston Municipal Courts. As an Associate Judge, he oversaw Class C misdemeanors, which included traffic tickets, theft, assault charges and other Class C cases. He presided over arraignment dockets as well as a Judge trial dockets. Municipal Court Judges are required to apply for reappointment every two years, and he takes great pride that he held this position for 13 years. Raul’s judicial experience with the City of Houston Municipal Courts gave him the opportunity to work closely with defense attorneys, prosecutors, law enforcement officers and court clerks. He learned to have the judicial temperament necessary for a Judge when dealing with attorneys, court personnel, defendants, victims and witnesses. On January 1, 2019, Raul was sworn in as the Presiding Judge of Harris County Criminal Court at Law No. 13, and he began his tenure the next day. He will be up for re-election in 2022.